Bracketeering #18. Click for more. Applied Bracketeering: So, who saw that final four coming? Applied Bracketeering: Does our model also work for the NCAA Women’s tournament? Applied Bracketeering, 2018 Edition: Do streaks matter? What countries punch above their demographic weight at the World Cup (and can this be predictive)? World Cup Predictions: Most models underestimate the chance of a tie. World Cup predictions wrap-up: Vive le France! We’re in it now, the most wonderful time of the year.1 Our national mania (the fun one). The mayhem of selection Monday. The mastication of mashed potatoes and machinations of mendacious Machiavellian masketmall merds.2 Woah, my brain is melting. Anyway, it’s here! The one, the only: MARCH MADNESS!!!!!! And we’re back at it again. This year we turn the Braculator loose on the 2019 Division 1 Women’s Basketball Championship. Seeds were announced Monday, so get your bracket now and start scribbling. We’re focusing on a single model this year and using the classic LRMC model. In previous years, we have taken a poll of polls, but that data is not readily available for the women. In fact, there’s a general dearth of data with respect to the women’s game and we’ll be talking about this topic more as the tournament unfolds. Chalk, chalk, chalk, 2 seed!. So what kind of randomness this to use this year? The LRMC model is based on the point differential in every game played before the Tournament, but what if one of those shots lipped out or another caught a little more arc to avoid a block? How different would the end-of-year rankings be if the outcomes of all those games were slightly different? How about a lot different for a team that lives or dies by the three? How does your ranking shift if your star shooter is injured? We’ll be adding a bit of luck to each game and try to estimate how differently each game could have come out. In turn, this will shift the relative rankings of the teams (more and more the more “luck” we add), giving us an idea of the range of outcomes the model can produce. 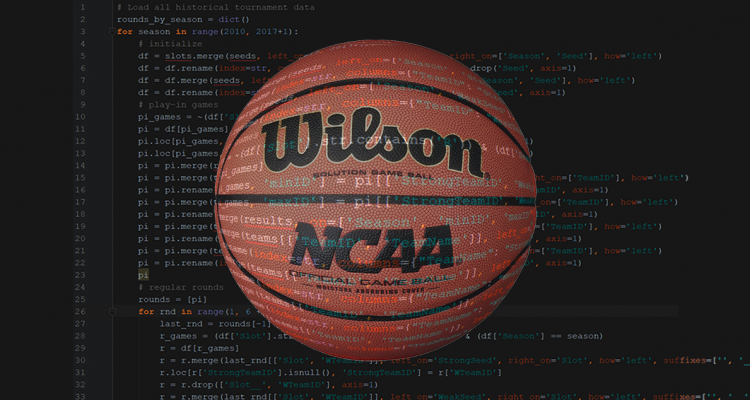 And also also as always, all of our brackets will be published before the first tip off (9:00am Pacific on Friday, 3/22) on github. So buckle up, it’s basketball time! 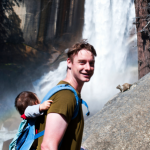 Richard is a Seattle area data scientist who builds predictive models and the services that deliver them. He earned a PhD in Applied and Computational Math from Princeton University, and left academia for the dark side of science (industry) in 2010, following his wife to the land of flannel. Fan of coffee, beer, backpacking and puns. Enjoys a day on the lake fishing, and, better, cooking up the catch for a crowd. No Comments on "The Insufferable Braculator™ Strikes Again. Can your NCAA Women’s Tourney predictions beat it?"